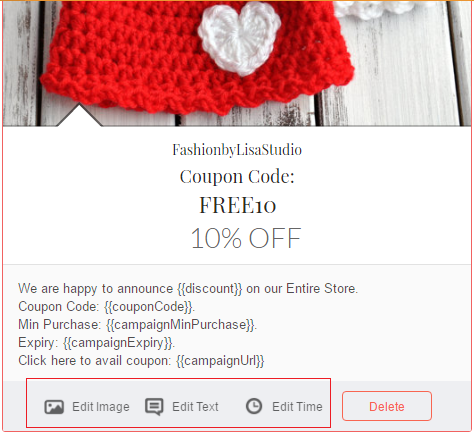 How can I edit the social media posts in my Daily Deal campaign? 5. The bottom bar of the posts has the edit buttons - Edit Image, Edit Text, and Edit Time. Click on the relevant edit buttons and follow instructions.